Every year at Halloween time, I feel like I come across enough people dressed as pirates to staff an entire armada. Honestly I think its a great costume idea, even if it isn't the most original. Dressing like a pirate gives you a good reason to talk silly and drink a lot of rum. The more people dressed as pirates the better, because you need a crew to run your pirate ship. Captain Red Legs Greaves was a real pirate, active in the Caribbean during the late 1600's. Greaves, a Scotsman born into slavery on the island colony of Barbados, found himself in the company of the cruel and brutal pirate Captain Hawkins, after attempting to swim to freedom from servitude. Greaves later defeated Hawkins in a duel and became the captain of his ship and crew. In honor of Captain Red Legs Greaves, this refreshing fall cocktail uses both Scotch and Barbados rum as a base, combined with other ingredients one might have found on a 17th century merchant vessel. Gently roll all ingredients in mixing tins with ice to combine, and pour into a collins glass(or pirate mug). 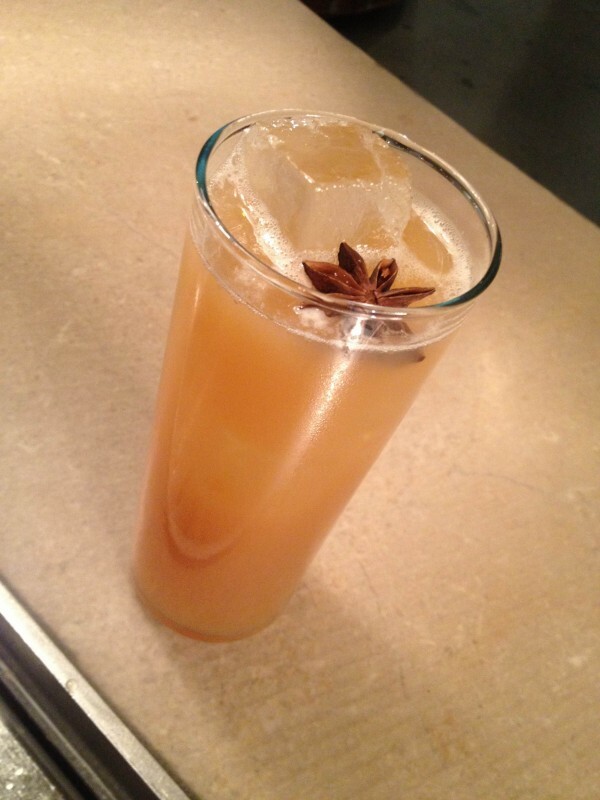 Garnish with a star anise pod. This cocktail also works well as a large format punch at a Halloween party. Just batch it in a punch bowl with a large block of ice, using the same ratios as the individual cocktail. I'm a San Francisco barman, beverage consultant and weirdo. I'm interested in quality spirits, cocktail history and positive imbibing.